remember this little takeaway bag from my SEO+C Workshop? if you haven't read about it yet, here's the link to What I've learnt on SEO and Content during that workshop organized by the lovely people at The Butterfly Project! so what's inside the goodie bag? 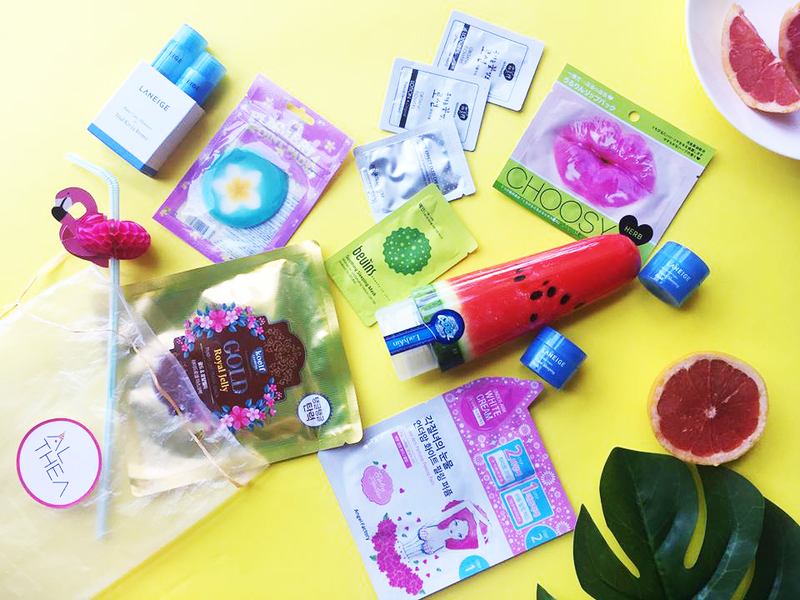 it filled with quirky skincares that i have never quite imagine i'd get! hahaha from lips to under arms to a watermelon looking soothing gel! you name it! i've tried it all out and compiled it into a small mini review below! Ladykin Watermelon Gel check out the detailed review soon! i actually will be posting a much detailed review on this, do stay tune for it! i am already halfway through the bottle so please look forward for my blogpost for a detail review on its texture and its overview! 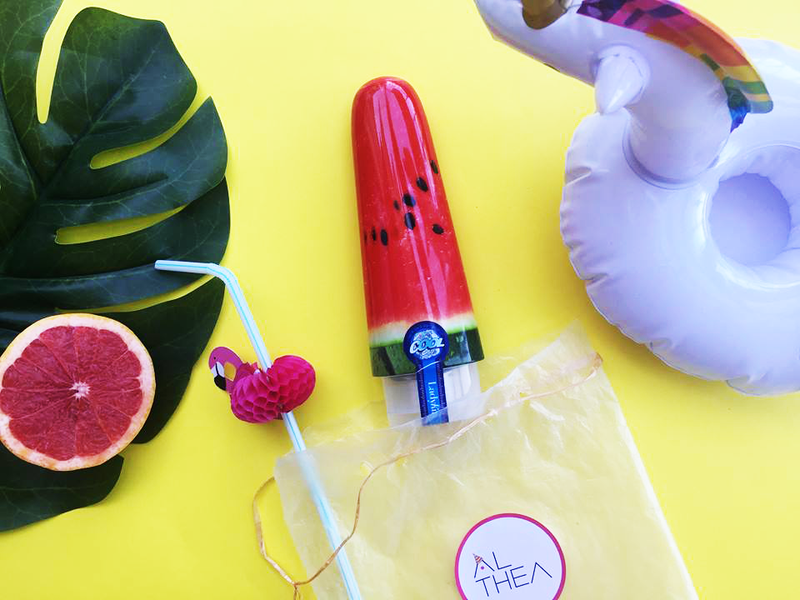 and yes, it smells like real watermelon. 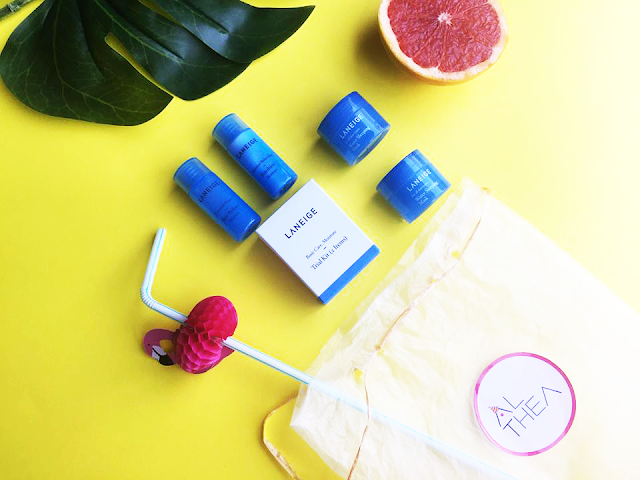 the brand itself says it all for all hydrating glory. 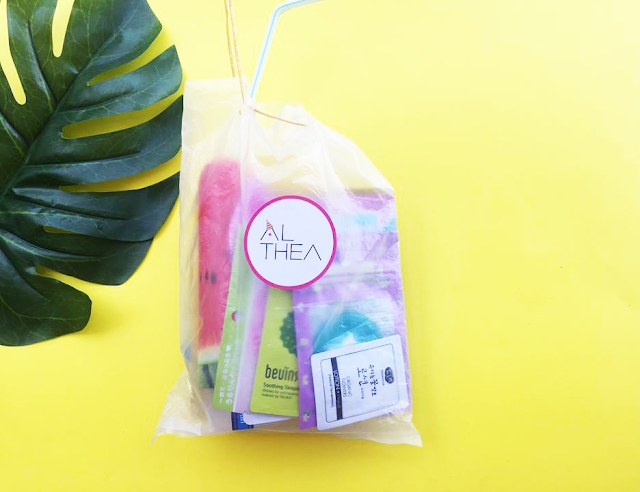 the trial kits comes in super cute mini packs that lasted a few applications! 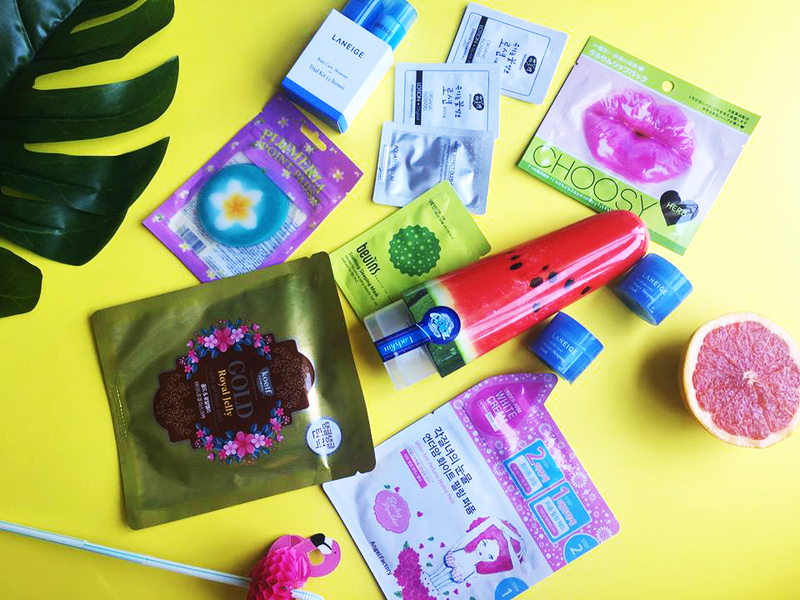 definitely yes to these hydrating skincare regime! THIS IS GOLD! like literally. the mask itself is also gold. was so happy to try out a hydro gel mask! 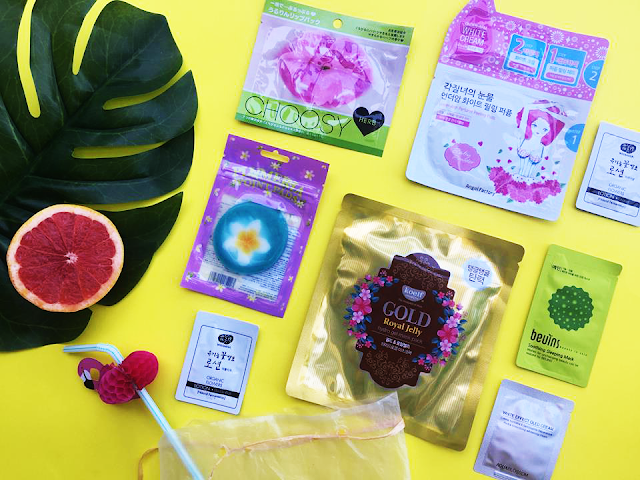 they are usually quite pricey and i breaks my wallet sometimes so i've always opt for cheaper sheet masks alternatives. but trying this out made me feel like i'm going to be burning my wallet soon on hydro gel masks! WILL DEFINITELY BUY THIS AGAIN AN DO A DETAILED REVIEW! i have to be honest! no idea what these were for and how to use them at first! hahaha cause they aren't like the usual cucumber eye pads, but are meant for the face and parts of our body that needs some hydration! it come with 10 sheets in a resealable pack! perfect for travel use and sharing! left a soft hydrated feel! well, was really caught off guard that there's a mask for lips. i have dried lips and crack lips occasionally, i usually would use a lip balm to fix out of desperation cause i'm not a fan of the buttery feeling! but this was actually quite fun to use, but might not live up to its name of moisturizing it fully. my lips did become soft for awhile, but wears off after some time. might try out a detailed review on this just to test it out in the future! perhaps perfect for that date out with kissable lips? slab on sleeping mask which I loved the light texture and the calming smell this mask has! the pack was a one time use so i can't elaborate on anything, but I will definitely consider buying the full size for a better feel for it. and look up more details for this pretty cool mask up for curiosity! well, the cream texture and whitening effect does has a punch. I suppose people might use it for a base before make up? but cream based isn't really my cup of tea because of the sticky feeling and sometimes too heavy for my face, eventhough i have dry skin type! but I've seen it sell of really fast on Althea. so who knows? so that's all inside the tapau bag! hope that this might give a little glimpse of the products to everyone, because they really did hint some curiosity in me to try out some good stuffs! funky and kinda cute but also odd to know these little little stuffs exist for the beauty of it! hahaha it took awhile to finally finalized this post! but yes.! had fun trying all the goodies out! have you tried any of the stuffs? share some experiences with me so i can really consider doing a full review on some of them! 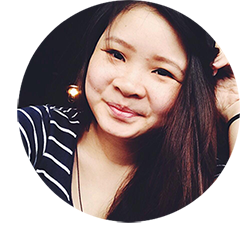 The Butterfly Project Malaysia is a community group that helps bloggers grow and learn! "The name was inspired by a local magazine - Female Magazine when they showcased a series of challenges for a group of women to undergo makeovers ranging from beauty to lifestyle called the Female Butterfly Project. Much like America's The Swan without the plastic surgery and dental work. Since then, Tammy has initiated her own group of women bloggers to inspire and challenge them to makeover themselves through blogging. The community's tagline "Beauty From Head To Toe" meant becoming beautiful from the inside and out." they have amazing people and are super friendly! all pumped and active with activities and events for the community. It really is a place to get you motivated and grow too. :) I thought they deserve this little share to bring more love to the community! and to say thank you for the goodie bag along with Althea for the goodies inside! so if you're wondering, come and join the lovely group and sayyyy hello! Join the Butterfly Project Malaysia! 4 comments on "The Tapau Goodie Bag Review | The Butterfly Project Malaysia"
the gold mask is so prettyy its actually a shame to throw it awayy..
Never try any of those but always wanted to try leneige. I though will do everyday mask if my face starts to break from excessive sun exposure.